During 2012, I looked at different types of films that were barely on my radar. There were so many intriguing choices that it would be impossible to describe all the exciting discoveries. Even so, I've listed five examples of movies that really surprised me in 2012. They come from the 12 marathons that I tackled on a variety of subjects, including specific genres, filmmakers, and picks from readers. There's also one entry from my monthly List of Shame series, which could have filled these selections. I'm not calling these the best five movies that I watched for this blog. Instead, these are lesser-known gems that weren't obvious choices for catching up with the classics. I've had a great time checking out these movies and have a long list of suggestions to tackle in 2013. I can't wait to get started! In March, I realized that a jaunt into the fantasy genre was long past due. The result was the Once Upon a Time marathon, which didn't include the strongest collection of movies. 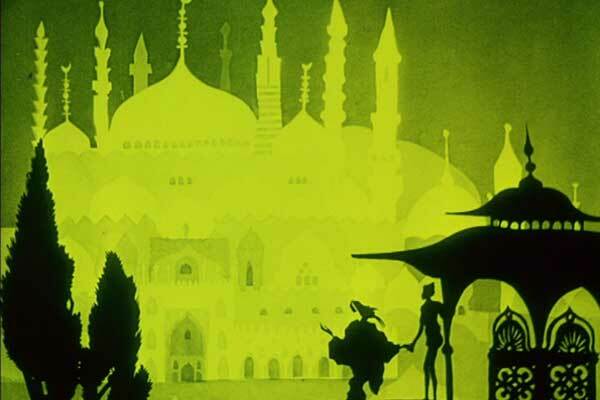 The exception was Lotte Reiniger's stunning animated work for The Adventures of Prince Achmed. Originally released in 1926, this remains one of the most unique examples from the genre. Reiniger uses a style called silhouette animation to depict Achmed's journey. He encounters Aladdin and his magic lamp, falls in love with a princess, and saves her from demons. This silent film might be a tough sell, but I highly encourage that you check it out. It's amazing to note how much they accomplished more than 85 years ago. The frame-by-frame silhouettes required precise attention to detail and show masterful artistry. One of the most enjoyable marathons happened last summer when I tackled eight picks from readers. Castor from Anomalous Material recommended China's Devils on the Doorstep, a film that had completely escaped my attention. The mix of dark comedy, stunning tragedy, and a biting look at war makes it one of the most original movies from that genre. Director Wen Jiang does a great job keeping the story light and then pulls the rug out from under us. 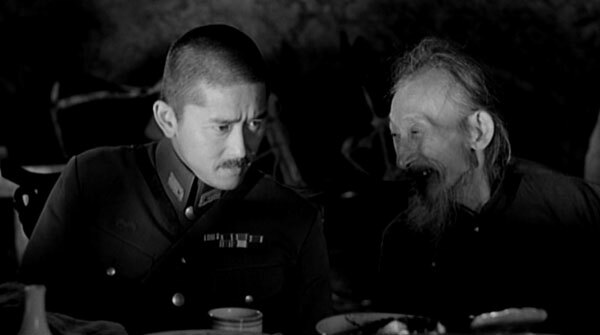 A perfect example is the party scene, where the Japanese soldiers and Chinese villagers are having fun and forgetting about the conflict. Jiang uses subtle hints to show that Captain Inokichi Sakatsuka (Kenya Sawada) is slowly losing his cool. When the gala erupts into a violent massacre, it's shocking because of the drastic tonal shift. This is just one of many reasons to seek out this movie, which deserves a lot more attention from cinephiles. Inspired by the need to catch up on classics and pushed by the efforts of other bloggers, I decided to extend my List of Shame marathon into a monthly series. There were so many amazing films in this group, including Solaris and Once Upon a Time in the West. Those movies could fit in this spot, but they weren't as surprising because there was so much acclaim. I didn't expect as much from Ingmar Bergman's Wild Strawberries, which made it even more enjoyable. The story of the 78-year-old Dr. Isak Borg (Victor Sjöström) reflecting back on his life sounded pretty dull, but that was far from the case. The themes of guilt, love, fear, and death are so universal that it's nearly impossible not to be drawn into this tale. Bergman's surreal dream sequences also keep us on our toes and cleverly depict Isak's greatest fears. If you're looking to delve into Bergman's work, I'd start your journey here. Easily one of my favorite experiences this year was digging into nearly the entire career of Wong Kar Wai over the summer. I was so mesmerized by In the Mood for Love that it was a necessity to check out more films. Starting with Days of Being Wild, I worked my way through his career and even checked out his foray into America with My Blueberry Nights. None of them was more surprising than Fallen Angels, which I knew nothing about before watching it. This tale of young loners searching for any type of connection is one of his most striking visual feasts, which is saying a lot. He throws the camera right into the middle of the scenes, which creates a great sense of chaos. Supported by a perfectly themed soundtrack and full of energy, this film is mesmerizing from start to finish. In August, I designed the International Gangsters marathon to finally catch up with A Prophet and Animal Kingdom. While those were both strong films, neither had the impact of Matteo Garrone's ambitious look at the devastating effects of the Comorra. Set in Naples, Gomorrah uses five interlocking stories to paint a vivid picture of this brutal environment. The culture of strikes and retaliation has few signs of ending in the near future. Garrone avoids preaching and simply depicts the many ways that the crime syndicate can wreck a community. Young kids are used and then tossed aside by veteran killers protecting their way of life. The handheld shooting style puts us right inside as we experience hell on Earth. I can't think of another movie that stuck with me longer this year. I'd love to hear your thoughts about this list of my blog discoveries from the past year. You should also check out past Top 5 Lists if you've missed them. Great call on putting Gomorrah first. This is a film that more people should know--and it would make a brutal (if interesting) double feature with City of God. Steve, that would be quite a double feature. It would be powerful, yet brutal like you say. When I thought about this list, Gomorrah was the first movie that jumped into my mind right at the start. That was the obvious #1 from everything I've watched for the blog, not even just from 2012. 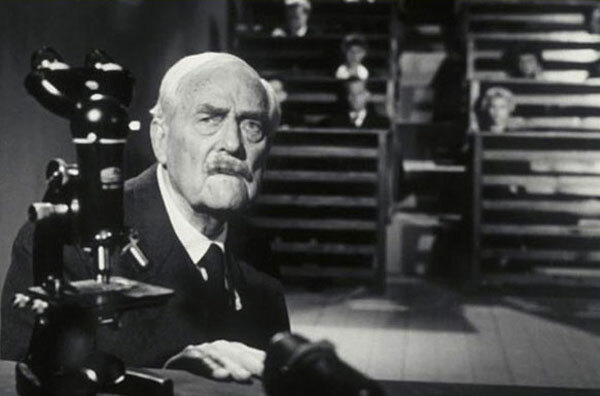 Wild Strawberries was a shock to me when I saw it because I wasn't much of a Bergman fan before that. I need to watch more Wong Kar Wai. Steve, I'd definitely suggest that you check out more Wong Kar Wai. In the Mood for Love, Fallen Angels, Chungking Express, and 2046 are all must-sees, and even his second-tier movies are still very good. I also was surprised by Wild Strawberries. I'd found some of his other movies interesting on an intellectual level, but also pretty cold. This one was something else entirely and really grabbed me. Interesting list. I saw Gomorrah this year, and I need to catch up with the rest. Thanks! It's cool that you caught up with Gomorrah, which is such an interesting movie. I don't think you can go wrong with the others. Some intriguing pics. I'm not a fan of Fallen Angels or Wild Strawberries. I wish I was. Love seeing The Adventures of Prince Achmed on there. It's a really cool little film that I do think more people should check out. 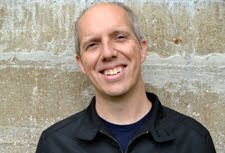 James, it's great that you're also a fan of Prince Achmed. I knew pretty much nothing about it before picking it for the marathon, and it was a cool surprise. I think my expectations for Wild Strawberries were fairly low, or at least anticipating a different movie. I was blown away by Fallen Angels, but I can see how it wouldn't work for everyone. What were your big issues with it? What a great selection - five pretty spectacular film. I only just saw Prince Achmed for the first time this past year as well. In 2013 I am going to start a regular series over at my site, entitled The Bergman Files, where I will take a look at each and every Bergman film. With this in mind, I am watching and rewatching all of the director's films. I can't wait to watch Wild Strawberries again. One of my favourites. If you want to delve deeper in, you should check out Smiles of a Summer Night, Cries and Whispers, Through a Glass Darkly, The Magician and Sawdust and Tinsel. Also, most of the director's films which are unavailable on DVD or BD, can be found on Youtube, many of them in quite good quality versions as well. Thanks Kevyn! That sounds like an epic project to go through all those Bergman films. All of those suggestions sound interesting; I haven't seen any yet. Thus far, I've only caught The Seventh Seal, Persona, Wild Strawberries, and Fanny and Alexander. It sounds like there are still a lot of great choices to see, which isn't a surprise given what I've seen so far. These films all look real interesting, especially The Adventures Of Achmed - I didn't even know they had animation back in 1926, let alone one that sounds that good! Awesome blog too, looks like you've done a fair bit of work in reviewing all these movies! I will! Prince Achmed surprised me too; I was thinking that Snow White was the first animated feature before reading about it. The use of silhouettes gives it such an interesting look. It's definitely worth checking out if you get the chance. Thanks! Vern, Wong Kar Wai does a lot of small connections between his movies. He sometimes will use the same character name and actor, but it feels like a different person in each film. This is especially true with 2046 and In the Mood for Love, but he does that in a lot of them. Prince Achmed seems even cooler when you consider that it was made in the 1920s. It's silent and fairly slow-moving but worth seeing for sure. Really interesting selections here, Dan. I have only seen Wild Strawberries, but I have the others in my must-see list. I might have to include some of these in my next project -- Gomorrah looks especially intriguing. Can't wait to see what marathons you come up with in 2013! Thanks Eric! I don't think you can go wrong with any of these, especially Gomorrah. Glad to hear that you're looking forward to the marathons; I'm in the process of planning out the next few and am excited about them!